Futako-tamagawa Stage - Master of Torque - Motorcycles | YAMAHA MOTOR CO., LTD. 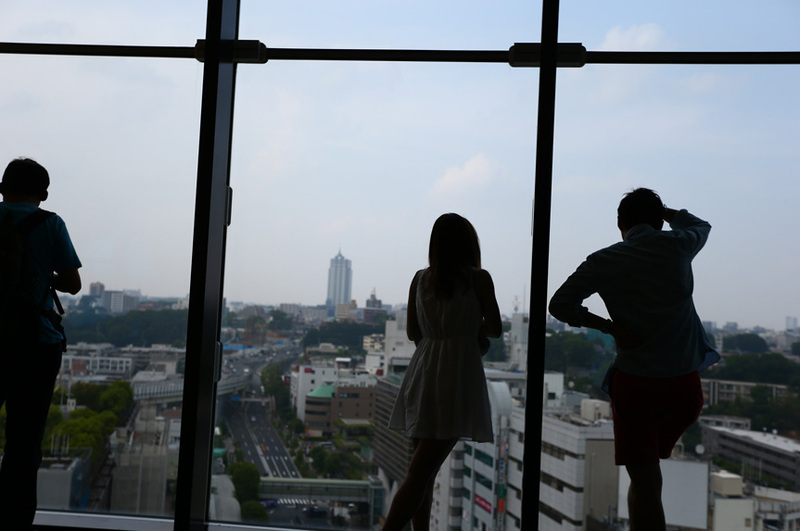 The inspiration people seek: Futako-tamagawa is generally known as an area that offers the quintessential suburban lifestyle. It has a large shopping mall and surrounding stores with a rich selection of goods that shoppers can enjoy without having to go all the way into the city center, it’s surrounded by quiet suburban residential areas, and the broad, flat banks of the wide, but quiet-flowing Tamagawa River nearby have been reconditioned to give people an easy way to enjoy sports or find a place for a barbeque with family and friends. Read more Other things that helped establish this image of Futako-tamagawa were Route 246, also referred to as the “Olympic Road,” and the Tokyu Den-en-toshi railway line. The Japanese characters and sound of the word den-en evokes images of a comfortable countryside lifestyle, and its placement in the name of the railway line suggests a link connecting the pleasant suburban area around Futako-tamagawa to the urban center of Shibuya and points beyond. For better or worse, the area is one that looks free of the history and customs of the past and has the air of a place where new things begin. What’s more, it is not bound by traditions or behaviors that are often seen in urban centers or the rural countryside. Today, nearly half a century since a new kind of community was first drawn to this area, Niko-tama continues to reinforce uniquely nuanced atmosphere it has. This is an area that wears a completely different face from the one it had a mere five decades ago. Virtually nothing remains of what made the area special before, it all having been sterilized and bleached beyond recognition as “newness” became the value held highest here while all that was old faded away. 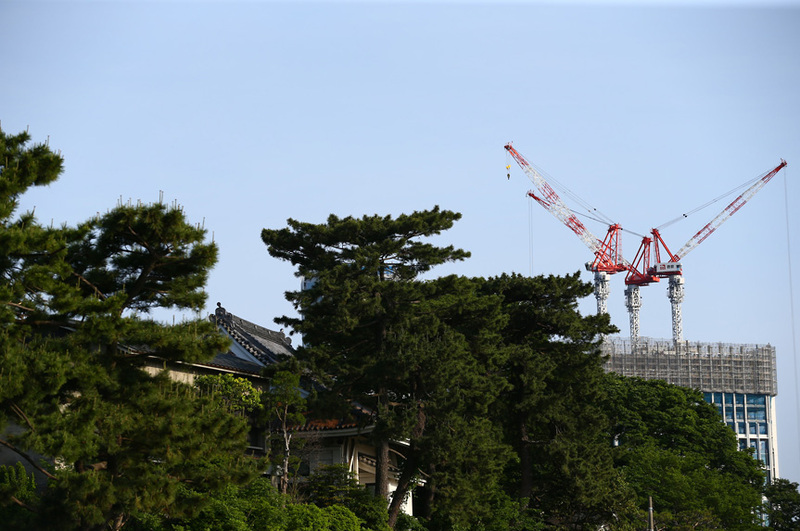 Putting aside all judgments, pro and con, Futako-tamagawa is a shining example of such contemporary Japanese values. 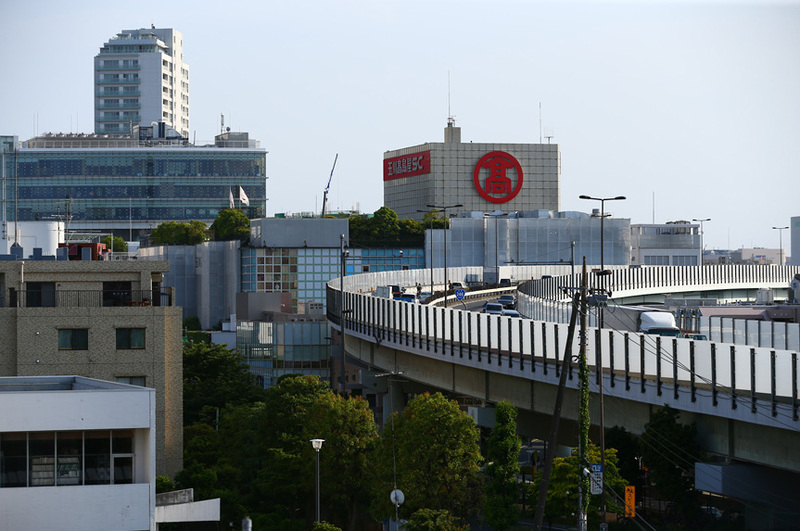 In short: Futako-tamagawa is where the section of R246 known as Tamagawa-dori ends. 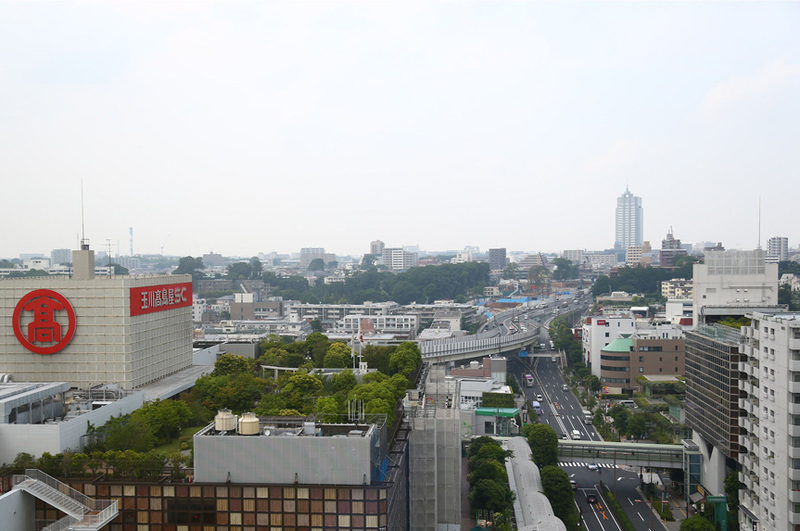 “Futako-tamagawa” is not the town’s official name, but only the common name used when talking about the area or the name of its central station. Long the symbol of the town is the Tamagawa Takashimaya, which opened here in 1969 as Japan’s first suburban-style shopping center. Also, its location in the midst of up-scale residential areas like Denenchofu, proximity to the Tamagawa River and its open vistas to the mountains far beyond it to the west and southwest, and the pleasing ring of its name in Japanese, made this a popular place to visit with an appeal completely different from the city center and the shitamachi parts of Tokyo. Some background: Theories about the origins of the Futako-tamagawa name include one that explains it as a combination of the names of two villages (-mura) that existed here from olden times on either side of the Tamagawa River: Futako-mura on what is now the Kanagawa side, and Tamagawa-mura on the Tokyo side. Another theory says it takes the Edo Period name of the Futako-no-watashi (Futako river crossing) that travelers used to cross the Tamagawa River. Read more Because the building of bridges was forbidden under Tokugawa shoguns in the Edo Period, when Oyama mountain pilgrimages became popular, people traveling the Oyama-kaido west to the mountains had to cross the Tamagawa River on the Futako-no-watashi. The spot also had other attractions in the beautiful view of the Tamagawa River and Mt. Fuji far beyond it to the west. Also, the delicious river-caught ayu (sweetfish) served here became well-known, and tea houses, restaurants and inns gathered around the ferry boat landing area of the river bank. These brought prosperity to the area both as a sightseeing destination and as a lodging town on the Oyama-kaido. Near the end of the Meiji Period, the start of rail service on the Tamagawa Line accelerated the area’s development and the banks of the Tamagawa River became lined with exclusive and traditional Japanese restaurants and a hanamachi red-light district (also called sangyochi, or “three-business district”). Eventually, it developed into one of the biggest sightseeing and entertainment spots in the area, with crowds of pleasure-seekers coming to the Gyokusen-kaku performance hall designed after the Kiyomizu Temple in Kyoto with a 100-tatami mat main hall, with yakata-bune pleasure boats plying the river and large, regularly held fireworks displays. At the time, the Tamagawa Line was also an industrial line, hauling the gravel from the Tamagawa River that was essential to build the buildings in rapidly growing Tokyo. 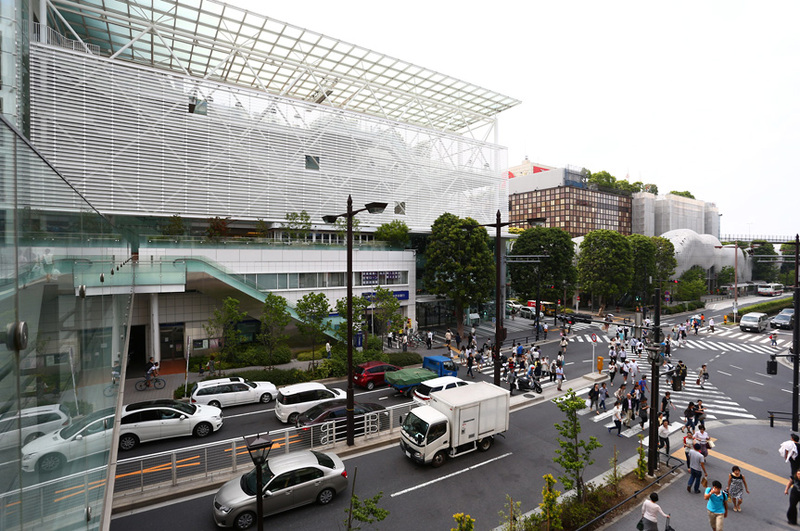 The next big change came to Futako-tamagawa in 1969 with the opening of Japan’s first suburban-area shopping center, the Tamagawa Takashimaya. 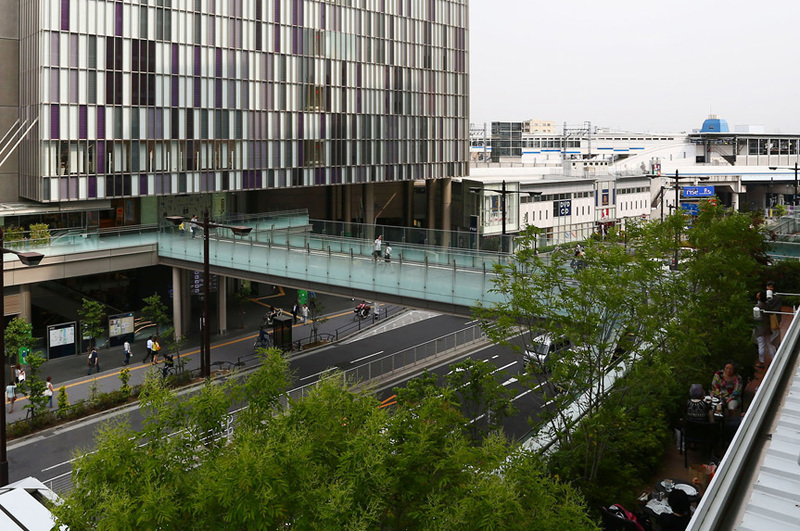 It immediately brought the image of “a suburban lifestyle” to the area and attracted the mai-kaa-zoku (literally “my-car tribe”) and bikers riding on the new-found affluence of Japan’s economic boom years. Naturally, this also made it an area famous for traffic jams, which will hopefully soon be a thing of the past when the area’s redevelopment project finishes (scheduled for completion in 2015).